The greyhound racing industry has been left reeling this week from news that the racing course in Towcester has gone into administration. 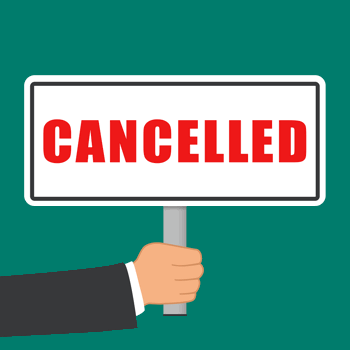 The course is a popular one with punters and is also the home of the Greyhound Derby, though that hasn’t been enough to stop those in charge calling time on its operations with immediate effect cancelling all racing until further notice. Fans of sports such as football will have heard the phrase ‘administration’ many times, without necessarily knowing exactly what it means or why it can be devastating for companies to have to cope with dealing with it. With that in mind, it’s worth taking a moment to explain what it is and how it works in the context of the news around Towcester. By going into the insolvency procedure known as administration, companies can resist legal pressure from creditors and stop the need to go into compulsory liquidation. Companies normally appoint insolvency practitioners and restructure how they work, with the insolvency practitioners acting as administrators and finding ‘rescue packages’ to try to resolve the situation. That’s because the idea is to treat the company as a ‘going concern’ during the administration phase in the hopes of rescuing it. The most important thing for punters to be aware of at this stage is that meetings scheduled for the foreseeable future have been cancelled. An email was sent to staff and trainers at the course on Wednesday night informing them of the situation, with trials on the Thursday called off as a result. 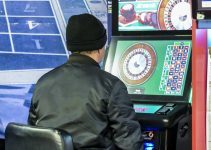 The Racing Manager Chris Page told the Racing Post that he was informed by the course’s Chief Executive Kevin Ackerman that the family and minority shareholders had decided to end funding for the course. He admitted that the speed of the decision might well have been a shock but that ‘the decision itself wasn’t’. Towcester isn’t just a greyhound track, of course, with AP McCoy notching up his four-thousandth jump career win at the course on the back of Mountain Tunes back in 2013. Races were scheduled to take place there on the tenth of October, with eleven different meetings planned to happen at Towcester before May 2019. At the time of writing there is still plenty that is yet to be confirmed about the situation, with many in both the horse and the greyhound racing industry not knowing what’s happening or what’s likely to happen next. A spokesperson for the British Horseracing Authority said that no one had confirmed to them formally that the site was going into administration but that they would ‘consider the implications’ once the news was official. 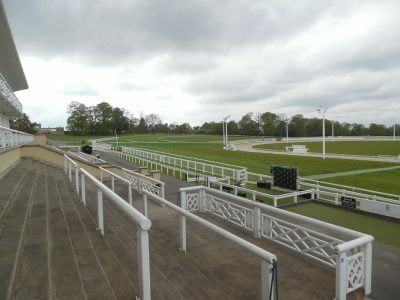 The course in Northamptonshire was owned and operated by Towcester Racecourse Company Limited. A statement from the company on Thursday said that they have been experiencing ‘trading difficulties’ that have left them with ‘no alternative’ but to seek the protection of the courts that is offered by administration. The racecourse has long been popular with horse racing fans because of the unique nature of the track, with sharp bends coming before an uphill gallop to the finishing line that can test even the best of competitors. The greyhound track was only built four years ago, making the news even more shocking. 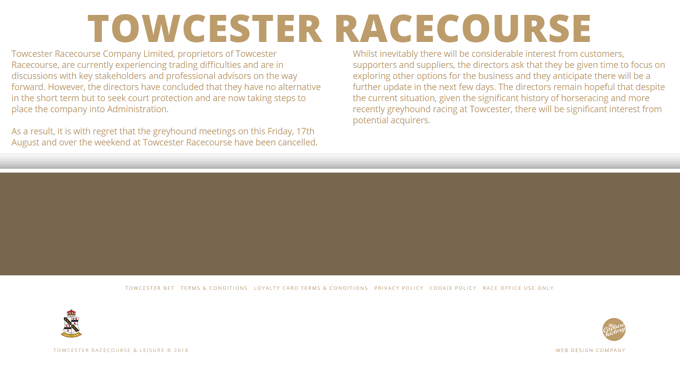 The statement from Towcester Racecourse Company Limited acknowledged that, stating that ‘there will be significant interest from potential acquirers’.